If you have a tooth that has lost some of its structure due to decay or other forms of damage, a dental crown may be the proper solution to restore your oral health. A crown is a cap that goes over the remaining tooth to repair it, restoring the function of your bite and the look of your smile. At St Clair Dental, our team can complete this procedure in one convenient visit. 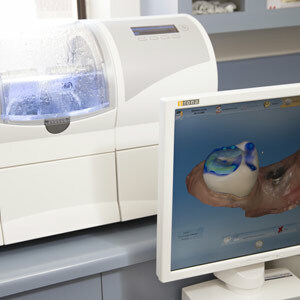 CEREC technology allows you to leave on the day of your appointment with your new crown in place. In some cases, a dental bridge can be completed in a single visit. After its creation, we’ll bond your new dental crown to your tooth with cement for long-lasting results. To make your crown affordable, we can arrange a payment plan for you. We’re also providers for Medibank, BUPA, HCF and CBHF.